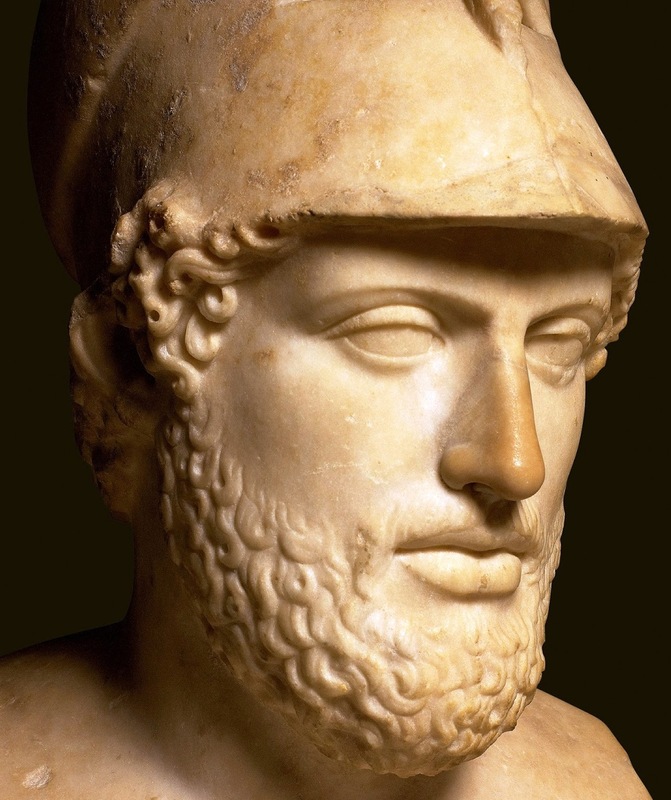 PERICLES’ “GOLDEN AGE”, the period of the greatest acme of ancient Hellenic civilization, coincided paradoxically with the years of “decline” that seemed to fall upon the Greeks since the mid-5th century. This downward trend was a kind of omen foretelling, like a Cassandra, about the upcoming “civil” Peloponnesian War. 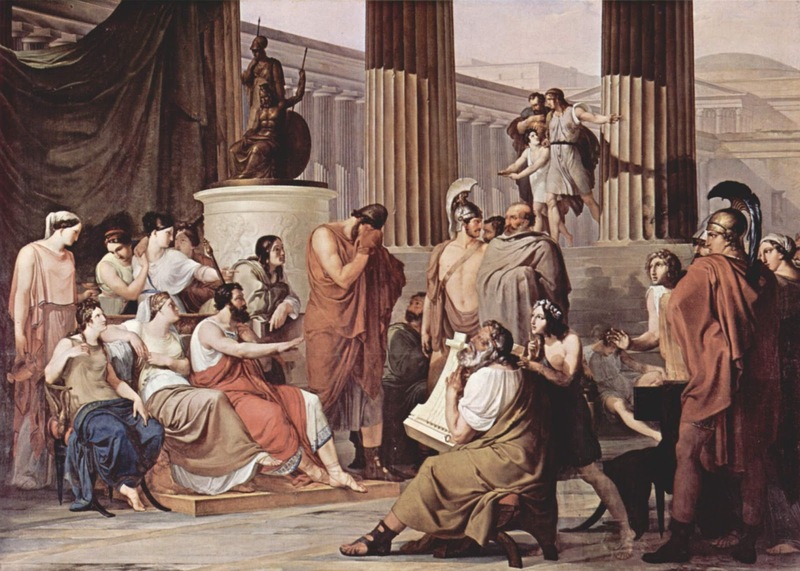 The most dramatic reaction then to “remedy the evil” was… anti-dramatic: the polis of Athens decreed in 440 BCE the cessation of all theatrical and musical activities for four years! 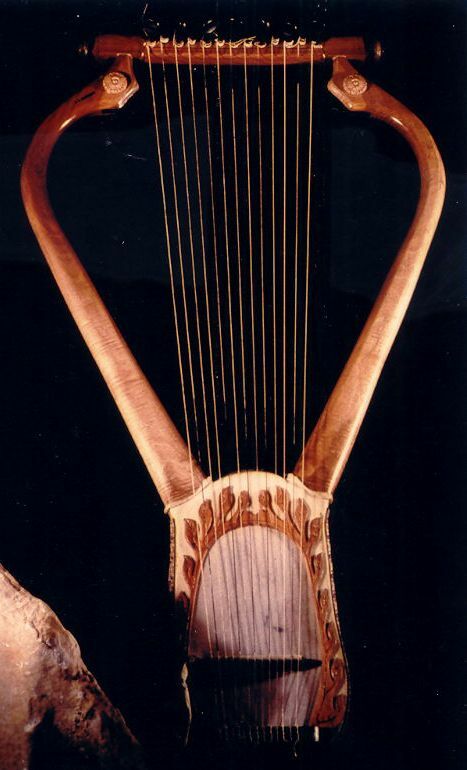 (a) Ecprepes, an Ephor, cut out with an adze two of the nine strings of Phrynis the musician, saying, “Do not maltreat music.” (Plutarch, Moralia). Quite moral, indeed! The “evil” was “corrected” with an adze! 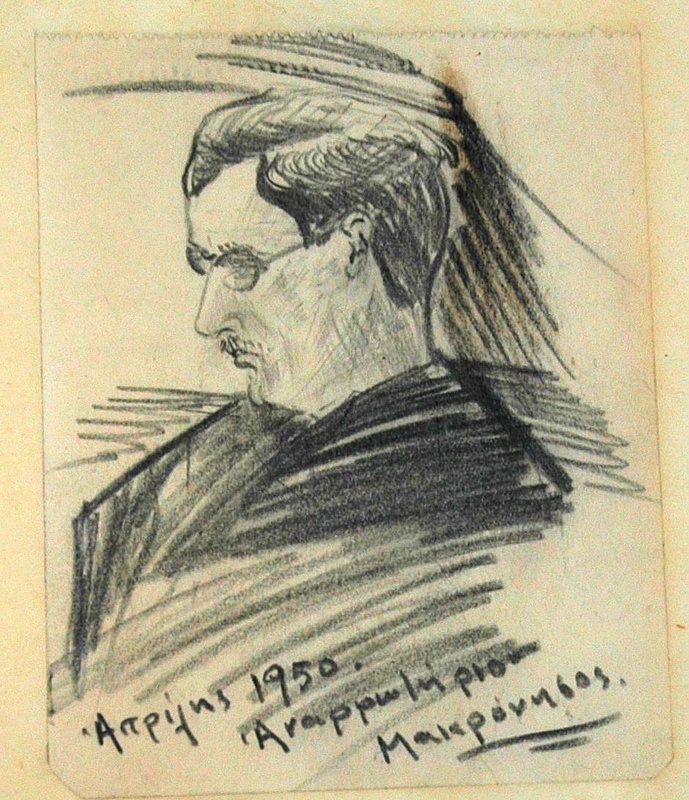 Was it, indeed, a manifestation of the ephori’s extreme conservatism, or had Phrynis – a leader of the innovative school with an exceptionally melismatic and modulative style – perhaps gone too far and actually maltreated music? 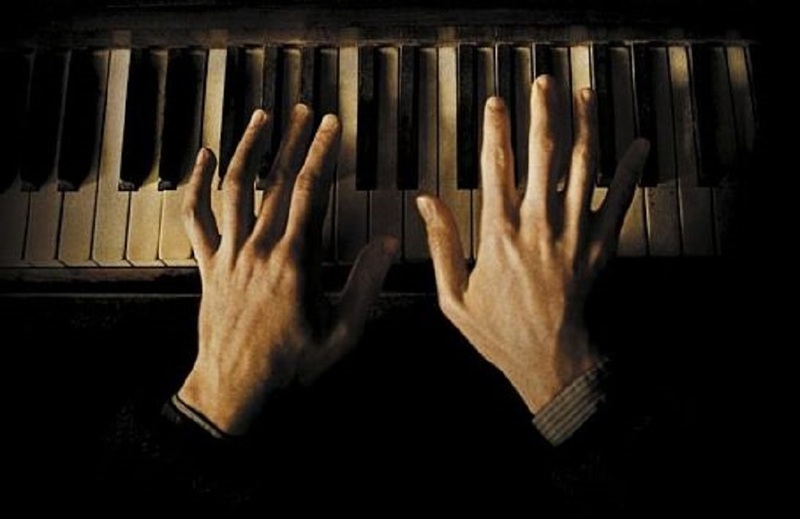 We shall never know: first of all, we did not… listen to him playing. But even if we’d heard him play, we’d still be unable to make up our minds judging by our own ears – by our own standards, if you like, i.e. by our current criteria on music. But Pherecrates, a contemporary comic poet and musician, was strongly in favour of the ephori, if we consider that in his comedy, Chiron, he presented Music as complaining to Justice for abuses committed by innovators such as Timotheus of Miletus, Melanippides of Melos and Phrynis – whom, however, the comedian forgave because when he grew older he came… to his senses! On the contrary, Pherecrates threw several brickbats at Timotheus and Melanippides who remained unrepentant until the end, playing their even “worse” twelve-string instruments. (*) …“quia diatonum firmissimum et virilem, chromaticum mollissimum et feminilem, enharmoniumque dissonum insuper et inutilem.” Quoted in Adrien de La Fage, Essais de diphthérographie musicale (Paris, 1864), from a manuscript originating at the Dominican convent of Santa Maria Novella in Florence. (c) Legend says that when the Thracian Maenads killed Orpheus – either because he failed to honour Dionysus, or because he… spurned their advances – they cut him to pieces and threw him and his lyre into the sea. The waves carried his head and the instrument to Lesbos, where some fishermen found and delivered them to Terpander. 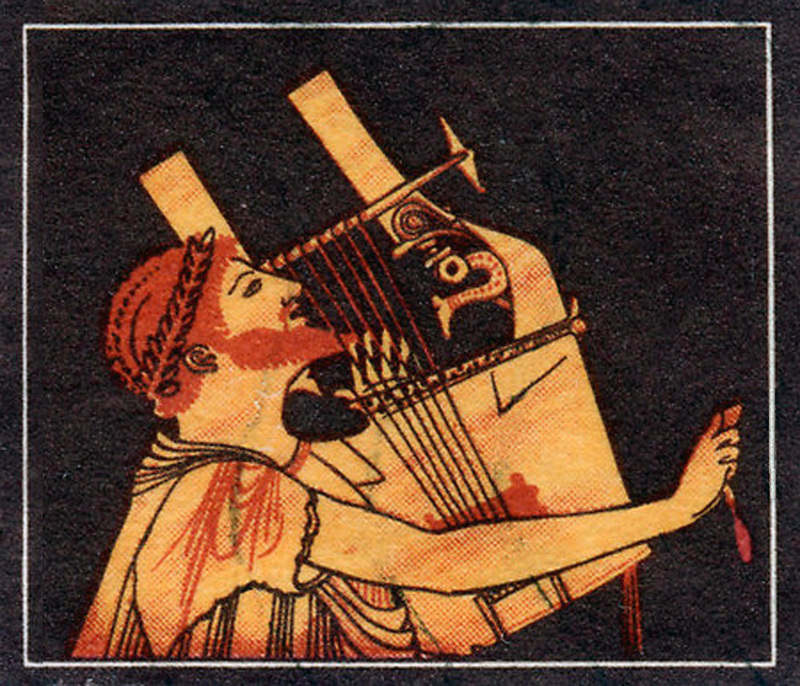 He kept the lyre and looked after the burial of his great colleague. Hosanna! 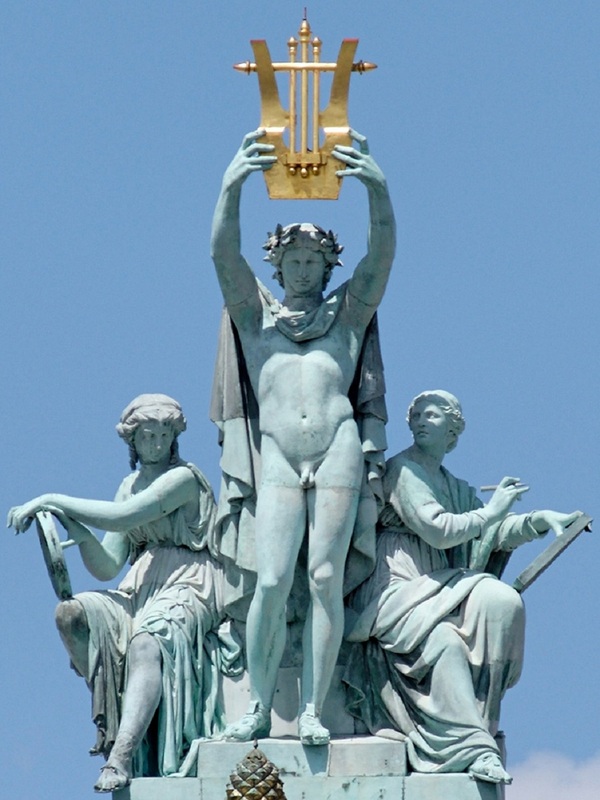 There was an intervention – as “deus ex machina” – by Apollo himself, whose lyre, by… “divine coincidence”, was also seven-string! It was confirmed by a rumour that craftily circulated those days. 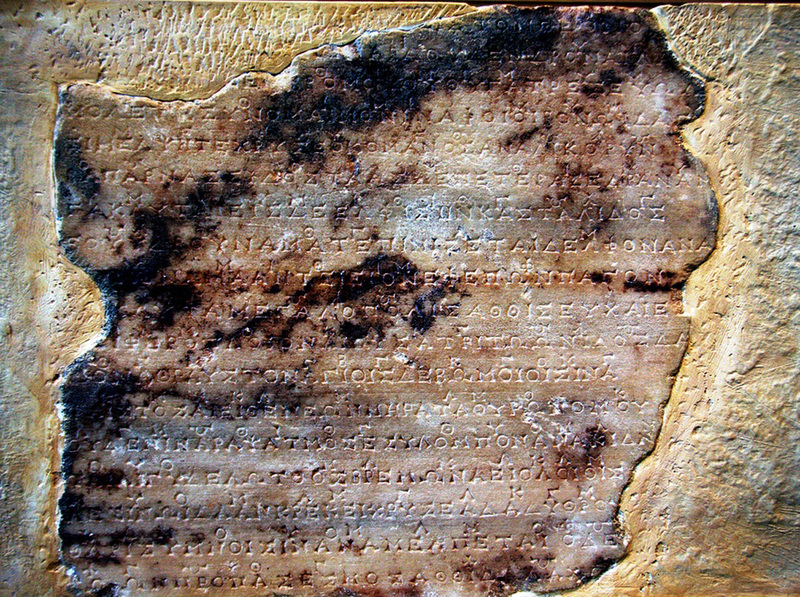 Thus, even with the seal of the Delphic Oracle, “the Spartans honoured the Lesbian songwriter”, according to Heraclides Ponticus (Pontic Heraclea, 4th century BCE), adding: “for God commanded them through prophesies to listen to him”. 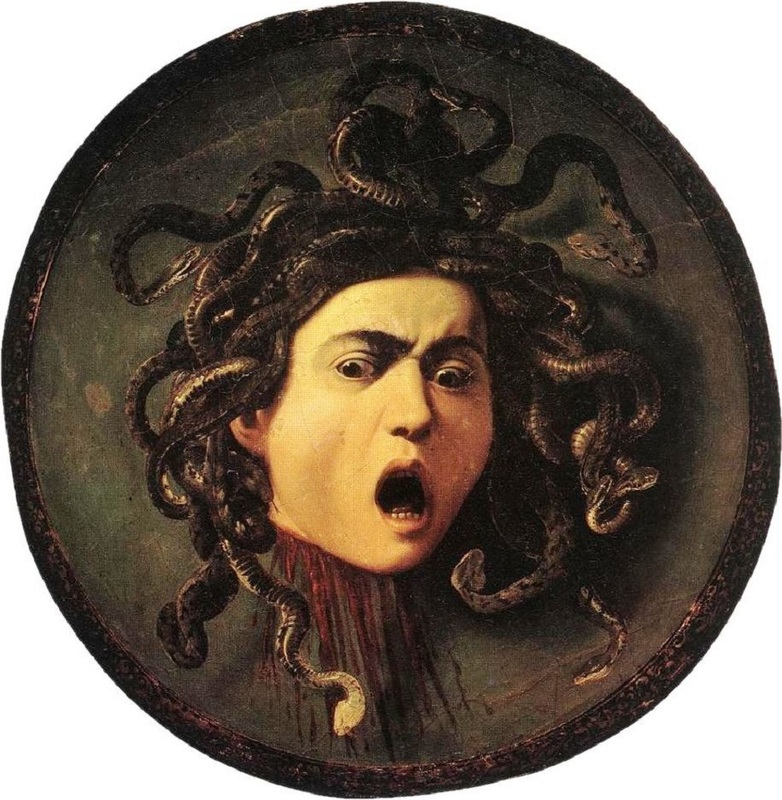 Accustomed to exaggerate (let alone it was a divine command to obey to Terpander), the Spartans subsequently placed everyone “after the Lesbian songwriter”, as Aristotle wrote. The predominance of the art of this incomparable in his time citharoedus at the expense of the ephori’s scholasticism benefited in many ways the Spartans, who secured not only a peacemaker in times of political turmoil, but also the founder of their musical life. They also say that Terpander was – among other things – the first to invent a kind of musical notation for the proper performance of the Homeric epics. Well, starting from historical paradoxes, we have ended up to historical parallels, which are often detrimental to historical truth. Spontaneously we are in solidarity with the musicians and confront the… “Zhdanovist” ephori with disgust. In reality, however, we cannot be absolutely sure – especially in times of “decline” – which side was finally right: Phrynis and Timotheus or the ephori? 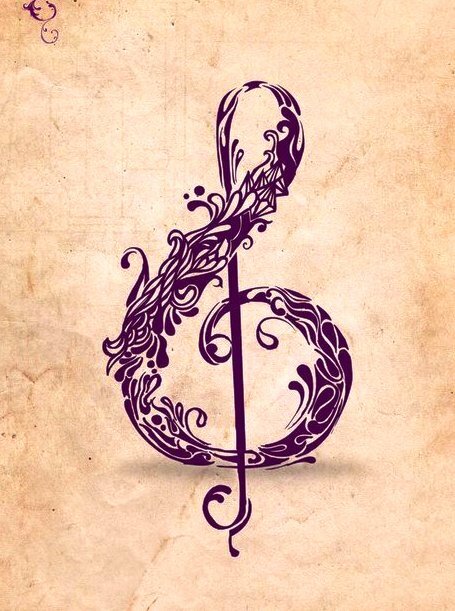 Let alone that the above slogan of the “villains” fits perfectly well into the current situation concerning our music and, I think, we should all cry out loud rhythmically and in chorus: DO NOT MAL–TREAT OUR MU–SIC! Our only certainty is probably that these historical episodes refer to professional musicians, heirs of a long tradition starting since very old times – since prehistory. 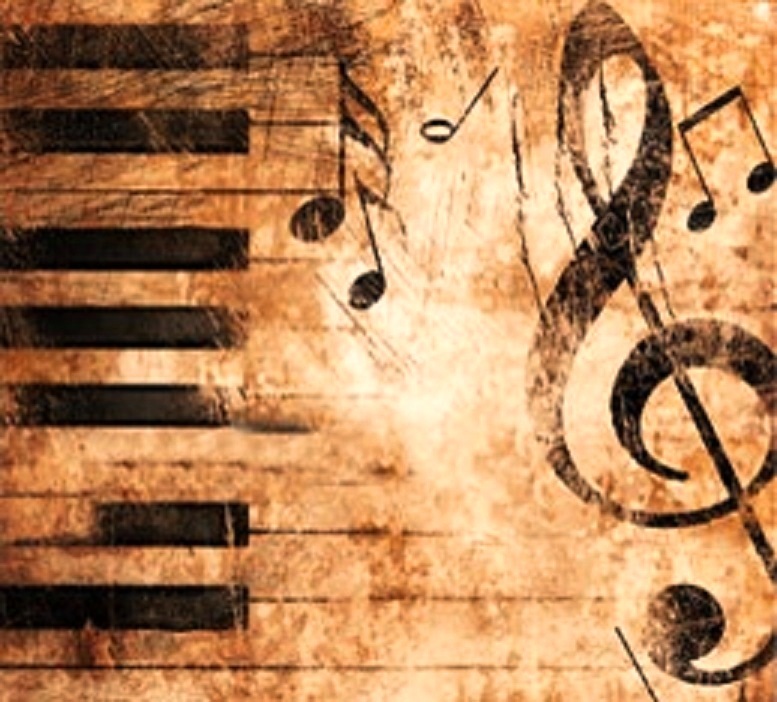 Once mankind began producing more than what was absolutely necessary, resulting in surplus product which certain individuals gradually appropriated and thus constituted themselves as a separate class, since that moment musicians emerged as a separate profession. First-rate musicians in the Orient were closely connected with the royal courts and the clergy – if they were not courtiers or priests themselves. The situation changed later in ancient Hellas due to climatic conditions that were mild and did not necessitate strong central power. These conditions nurtured a similar attitude among the Greeks and a relaxed relationship with the gods. The development of democratic ideas took place in the same context, as I have already tried to explain (see Voyages 2 and 2*). The Hellenes have had open and inquiring minds exactly because they’ve been open to the outside world as a result of the same conditions. Just a look at a map of Greece explains why. Thus, the oriental influence has been catalytic. The ancients, however, unlike us, did not like to… “copy and paste”. They adapted every recipe to their tastes by adding or removing ingredients. They borrowed their writing from the Cretans already in the 17th century BCE, after making the necessary changes to meet the requirements of their language (Minoan and Mycenaean Linear A and B scripts, respectively), and around the 9th century BCE received (most probably from the Phoenicians) the symbols with which they formed their alphabet – a real alphabet (and not an abjad) with letters for consonants and vowels alike. Using the same symbols (what would be more sensible? 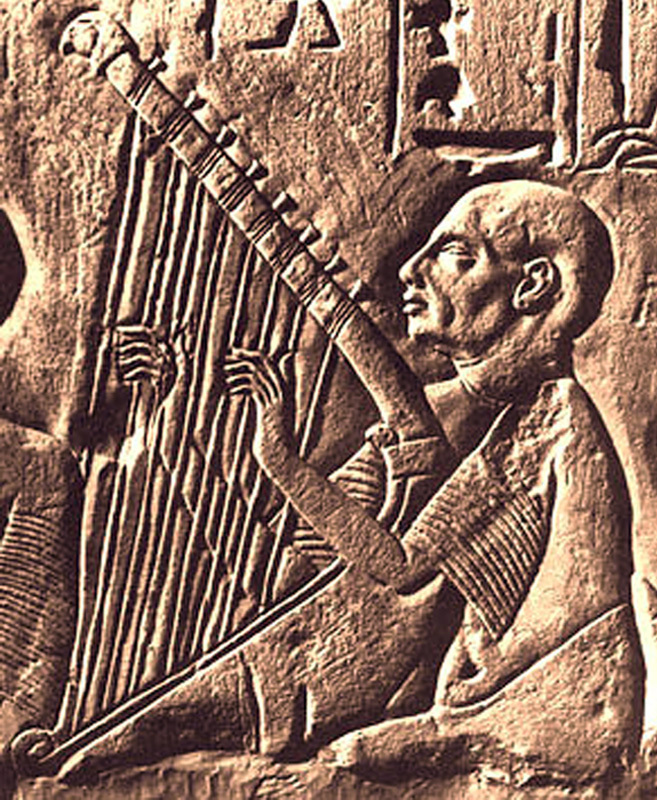 ), they arrived to the point to also invent musical writing (notation) as early as the 7th-6th century BCE. 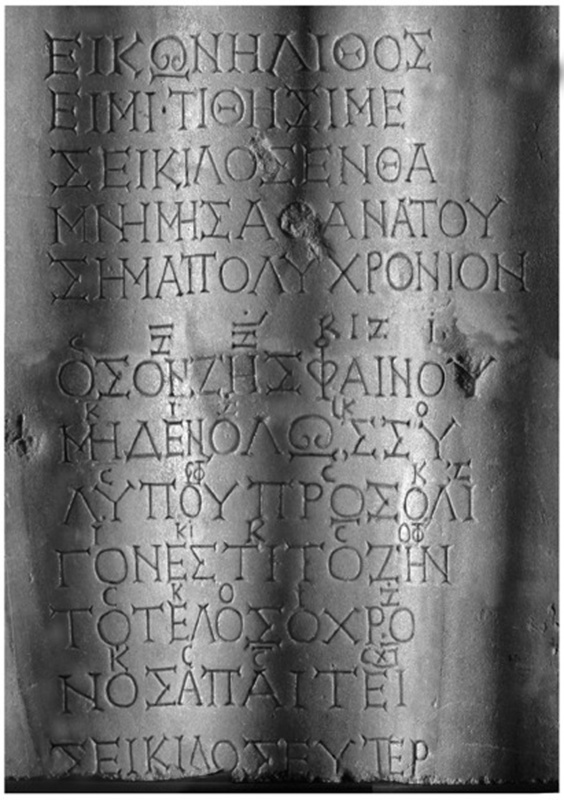 Seikilos Epitaph (1st century BCE or CE), engraved on a stele, is the oldest extant complete musical composition in the world: its main part, the song (excluding the prologue and epilogue), bears symbols denoting the melody. “Many ancient notations were invented by priests for priests and cantors, and some were even kept secret”, Curt Sachs remarked. 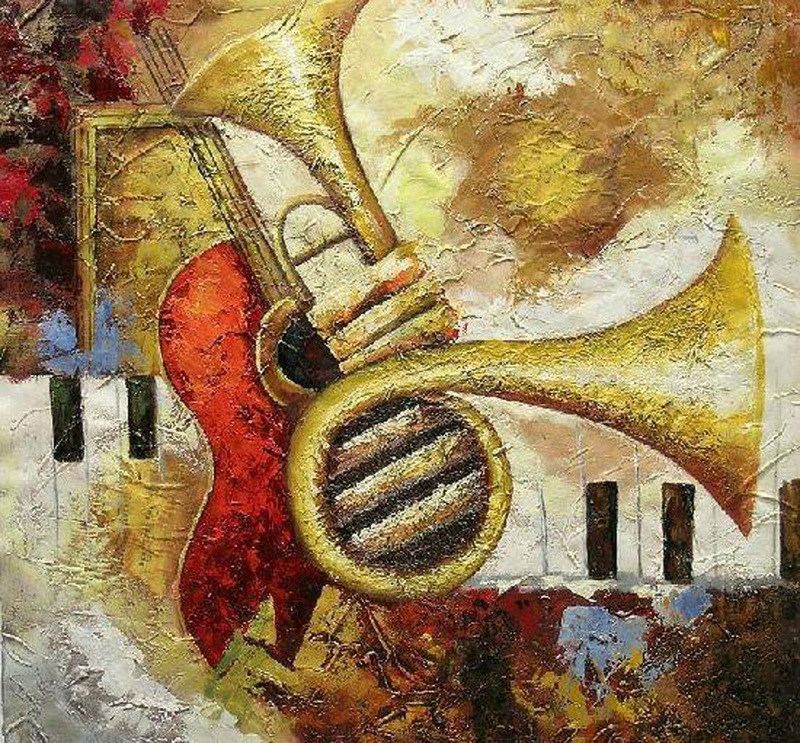 Music, with its catalytic effect on humans, was a deadly enemy of any religion, but also a mighty weapon in the hands of the priests who made sure that knowledge around this art was top secret. A culture with a script was not necessarily a culture with a musical script; and if the notation existed, it might have been… top secret! Music, with its catalytic effect on humans and its magical powers, was a deadly enemy of any religion, but also a mighty weapon in the hands of the priests who made sure that knowledge around this art was a well-kept secret within the very select circle of initiates. 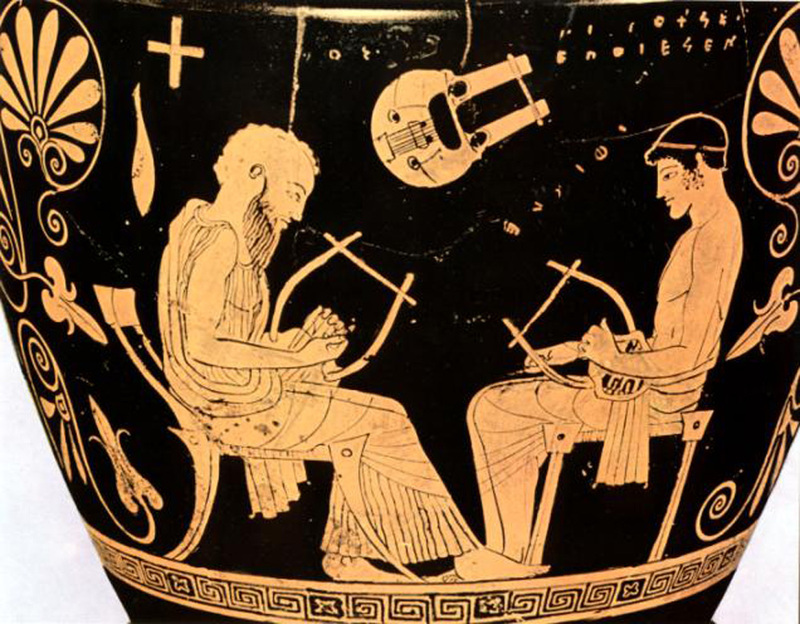 So, the Hellenes might not have been the initiators in the field of musical notation, but they first used it not for religious-authoritarian purposes but for didactic reasons, given that music was at the heart of education provided to children since they were six. Here we can find some differences between the cultures of the Greeks and the “barbarians” – i.e. those speaking languages incomprehensible to Hellenes. Greek culture was not theocratic (there was no reason to be), which is why knowledge was a public good and also right. The initiation into the mysteries was part of the devotional process, but the role of religion was completely different. The Hellenes used the archaic alphabet for instrumentation and Ionic letters for the song. (d) This may also indicate that instrumental notation preceded the vocal. Obviously the latter became necessary because of music’s further development, thereby varying the melodic lines of voices and instruments. 1st Delphic Hymn to Apollo by Athenaeus (?, 138 or 128 BCE), in vocal notation, cretic foot (quintuple), Phrygian or Hyperphrygian mode with variations: the world’s earliest extant substantial musical fragment. Thus we are able to play even now the extant ancient Hellenic music “remnants” – of course, approximately. That’s how – based on various indications – we also approach ancient Greek phonology, speech, pronunciation, which was musical and not dynamic as it is now. (e) The difference is enormous. This implies that the divergence between ancient and modern music is even greater. 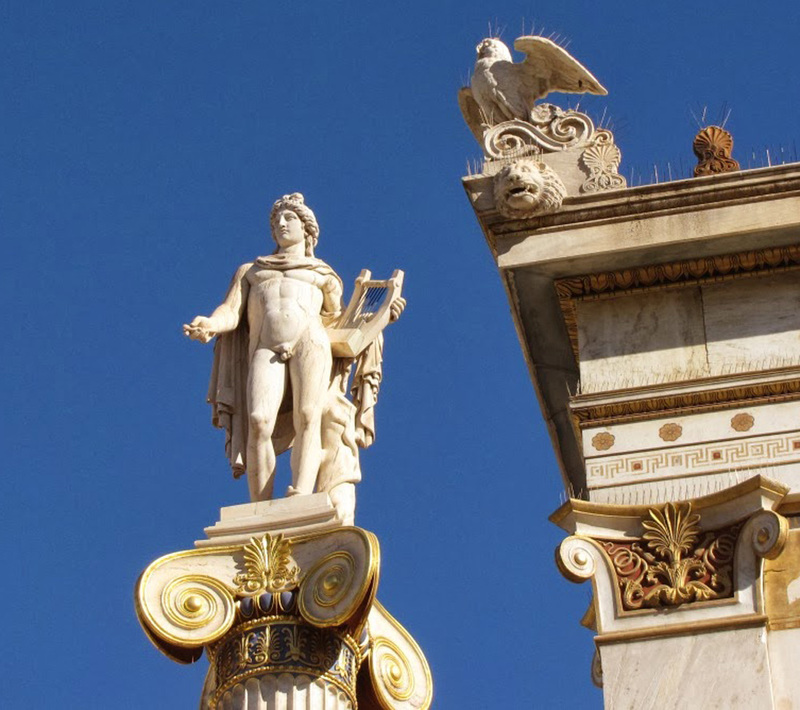 (e) Contrary to Modern Greek, ancient Hellenic had a musical accent, which means that the accented syllable was not uttered with a stronger voice but at a higher pitch than the rest. Dionysius of Halicarnassus says that this interval was not just one or two tones, as we would imagine, but more or less similar to that of a fifth in music (e.g. Re–La)! Don’t forget that the acute, circumflex, and grave accents also implied different pronunciation in ancient Hellenic. The arguable continuity of Greek civilization through the succession of classical antiquity with the Hellenistic, Roman and Byzantine periods – and the necessary adjustments at each stage due to changing conditions – seems to have been interrupted by the arrival of the Ottomans. So, we tend to identify the emergence of any divergence during this period. But such phenomena have been much older, as the rapid linguistic changes taking place already in the Hellenistic period show. As far as music is concerned, colossal differentiations emerged much later, not because of the Turkish yoke, but – how ironic! – as soon as this yoke was thrown off and the Modern Greek state was established supported on foreign “crutches”. A rule that was undermined then from above concerned the link between folk and erudite music. 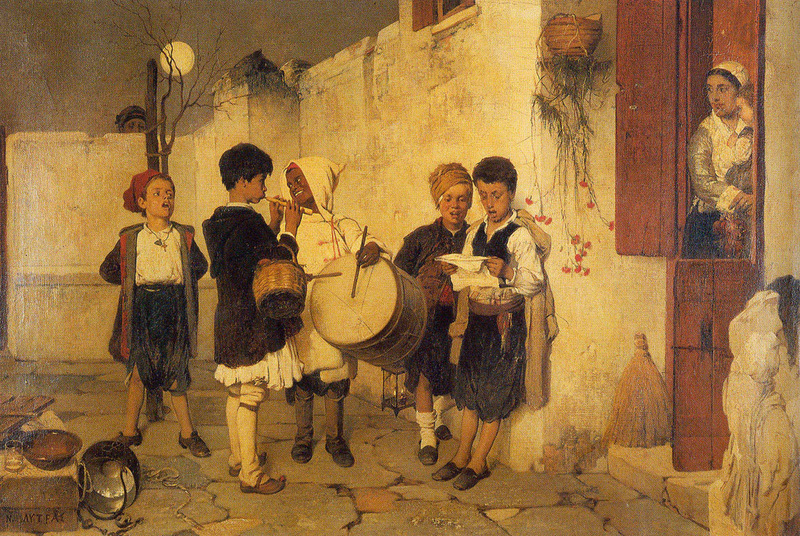 The fact that Constantinople, Thessalonica and Smyrna – the great centres of the Byzantine and Ottoman eras – were outside the borders of the new state made things easier for the erudite musicians (all of them educated in Europe) to impose the music they could play and compose, regardless if it had nothing to do with local tradition. Didn’t those in power realize that there was a risk for the people to turn into tabula rasa? Didn’t they wonder if among the ages thrown into the dustbin the… Periclean Golden Age was also included? No problem! They bathed in the spotlight just the Parthenons (that is, the dead meaning of the Golden Age), then set up the “new Parthenons” on barren islands of exile,(f) and finally set out to strangle whatever little had survived from Pericles’ legacy with the asphyxiating embrace of concrete. The architectural chaos they’ve created may have knocked architecture down the podium of the fine arts, but that’s what business with pleasure is all about – and this combination is better achieved through… defects: it’s them that turn wallets thick! (f) “New Parthenon”: description of the open torture chamber of Makronesos by Panaiotes Kanellopoulos, government minister during the civil war and future prime minister. The Europeanization of music has been going on apace all along as long as training provided in conservatories (aka… foreign music language schools) is based on European standards. (g) The absence of “national” music education at its place of birth (while “third world” countries of the Orient boast of their higher music institutes) might be unthinkable in any country other than modern Greece. Perhaps everything can be explained by amateurism or the absence of a cultural policy – without excluding the possibility of conscious action. After all, isn’t this absence of policy also… a policy? (g) A conservatoire is called odeon in Greek. 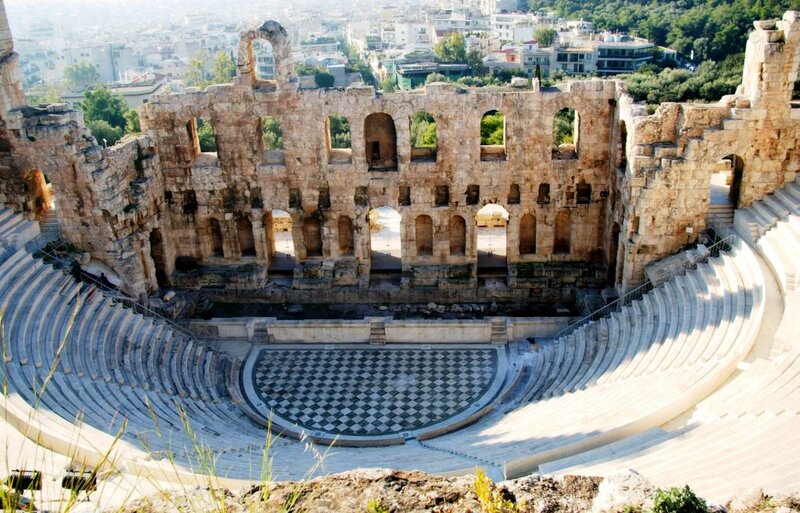 However, the ancient Hellenic odeon was not meant for music lessons but for musical shows, singing exercises, music and poetry competitions, and the like. The odeons were similar to ancient Greek theatres, but were far smaller and also provided with a roof for acoustic purposes. Regarding the conservatory, the term is definitely… unmusical as it also refers to conservatism, greenhouses, and preservatives! The issue is far from simple. Any child inclined to music, regardless of stimuli, will be obliged to attend a conservatory having no choice: he/she will necessarily be taught a foreign musical language – the erudite European. It’s been another case of brainwashing – not only of this child but also of his/her future listeners, since it is impossible to “shepherd” the public to listen to occidental music if no one “produces” musicians specifically trained for the role, blocking the procedures of the formation of new traditional musicians, and marginalizing at the same time those who are already active. It’s been another scheme of the ruling circles in order to eradicate local traditional music and thus mutate the collective consciousness of the people. Taking into account all these attempts, the continuous attacks against all local musical genres since the Hellenic state has been established, it is a miracle that this tradition has survived! It’s been victorious, of course, because it’s deep-rooted – but also because of a certain peculiarity: there was resistance against these attacks and those who resisted were mainly the conservative opponents of cosmopolitanism (e.g. Simon Karas, though sponsored by the Ford Foundation) and not the progressive Greeks, as it would be proper and normal. The fact that it was the conservatives who contributed the most in the field of safeguarding traditional music created even more confusion, obscuring the real problems. The conservatives, of course, care about the conservation of music in the form it has survived through tradition so far. They are mainly interested in the conservation of the type (sum of typical features or clichés) of tradition, which is not seen in connection with the rest of the Mediterranean cultures where it belongs. It is the typical attitude of the folklorists missing the whole point. So they concentrate their attention on collecting songs and tunes in the form they’ve been polished to perfection by countless generations of musicians, disregarding personal creative interventions by current folk artists, ignoring that such innovations – those adopted by public taste – refined and perfected folk songs, and also rejecting any further similar effort as an attempt to adulterate their purity, arguing that in the era of individualism, the practice of collective development of music is long gone. This may be true; but disregards the fact that the songs we admire so much have been created and perfected not by the people in general, but by their musicians as exponents of society at large or some social strata. That is, their composers and lyricists have been some talented persons, not society in general. In addition, we have no right to throw the inflow of new elements into our music in the purgatory, condemning it to a standstill – which is equivalent to death: τὰ πάντα ῥεῖ (everything flows), said Heraclitus; therefore, whatever does not flow, dies out. It goes without saying that I do not argue in favour of an uncritical acceptance of all new elements. I just point out the consequences of blind negativism: by cutting the thread of continuity, we offer the worst service to tradition. Are our folklorists under the naïve impression that barricading themselves behind the wall they are erecting, they would supposedly be safe? In the Internet era they behave like ostriches! 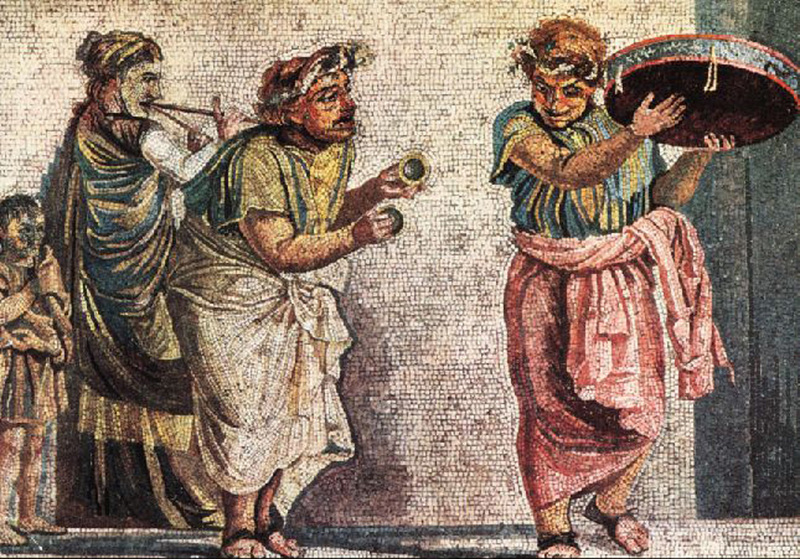 Trio of musicians playing diaulos, cymbala and tympanum (mosaic from Pompeii). but by their musicians as exponents of society or some social strata. Their creators have been some talented persons, not society in general. Well, professionals or amateurs? It’s an issue we need to elaborate on because, in the field of the arts, the former are burdened with all the sins of the world (plus the junk that’s for sale), while no one dares to call into question the noble intentions of those enveloped in the halo of an “art lover”. This mentality has already spread even to professionals! We have arrived at the point where we… boast of our amateurism, considering professionalism as hubris in the land of the Homeric epics, the work of a professional rhapsode, where the equally professional bards of the Odyssey era (sometime between 1250 and 1170) are mentioned, namely Phemius and Demodocus. We are talking about a tradition we know for sure it’s been going on for at least three millennia – let alone that professional musicians existed well before the fall of Troy. b) out of this job he/she can at least make a living. The denigration of the professional musician may be linked to the Europeanization epidemic that’s been sweeping the Hellenic state since its establishment. Ionian and Athenian serenades, operettas, various retros, and European light music in general, has been the “scope of action par excellence” of the trained Europeanist super-professionals,(i) while local tradition has been left in the care of semi-professional or even amateur, self-taught musicians, treated disparagingly by the music establishment. Here’s the “root of evil”: at best the state has abandoned local music to the mercy of fate; at worst it’s been hostile against it. Several posts – public or not – were surely occupied by these Europeanists. Under the circumstances, Hellenic music and its practitioners barely survived. They were obliged to do other jobs to survive – at the expense, of course, of their art that was degraded more and more, along with public taste. This profession “offered” so much insecurity that the locals (throughout the Balkans) handed it over to the “exclusive competence” of the Roma, the gypsies. Politakia, later Smyrnaic Estudiantina: the first estudiantina founded in Smyrna in 1898 by the Constantinopolitans Basilios Sideres and Aristides Peristeres. The dramatic improvement of the conditions of Hellenic music came with a… tragedy: the Asia Minor Catastrophe. The Anatolian musicians were truly professionals, with excellent knowledge of both the Mediterranean and European traditions. But they were refugees – thus, on the margins. It would take some time until they occupied responsible positions in the newly founded phonographic companies. Until then – as far as their equally marginalized public was still there – they would keep on playing their familiar repertoire of Constantinople, Smyrna and Asia Minor at large, with songs and tunes that enjoyed widespread approval in Anatolia; but not in Greece where they were not universally embraced, were rather limited in scope, for their sound was “unfamiliar” – let alone they were difficult to sing! So their fate was similar to that of their creators and they were in turn marginalized. Another historical irony was that they were replaced by the songs of the hitherto marginalized Piraeotic rebetiko! The reasons for this preference, therefore, were commercial – as well as political: these elaborate, demanding songs, as artistic products of an advanced culture, were reminiscent of lost homelands. So they should be removed from collective memory to – supposedly – “heal” the trauma of the Asia Minor Catastrophe. Firm was the belief that this music was inextricably linked with the Turkish language spoken by many refugees. National interest dictated some drastic measures to be taken. This task was later taken over by the Metaxas dictatorship, imposing censorship that was not limited to lyrics, but extended to music, as well (see also Voyage 6). The musical censors’ main target was the minor third intervals (three semitones), the so-called “bemolli”,(j) that is, the distinctive feature of the ancient Hellenic chromatic genus. Even though there are some questions around the enharmonic genus, no one has ever doubted about the chromatic: we know e.g. that it was never used in tragedies – apparently because it did not fit there. But Plutarch, according to Aristides Quintilianus (3rd century CE), said that “the cithara, several generations older than tragedy, since its very beginning, used… the sweetest and most plaintive” chromatic genus. Besides, the three ancient genera (diatonic, chromatic, and enharmonic) can also be found, noticeably remodeled, in Byzantine music. However, the Westerners – alas! – are only able to appreciate scales, especially the diatonic, while their chromatic scale has nothing to do with the chromatic genus: bingo! (j) “In 1936 when they first imposed censorship on the songs, they ‘corrected’ the melodies of popular songs removing the ‘oriental’ elements in an effort to ‘cleanse’ popular music. 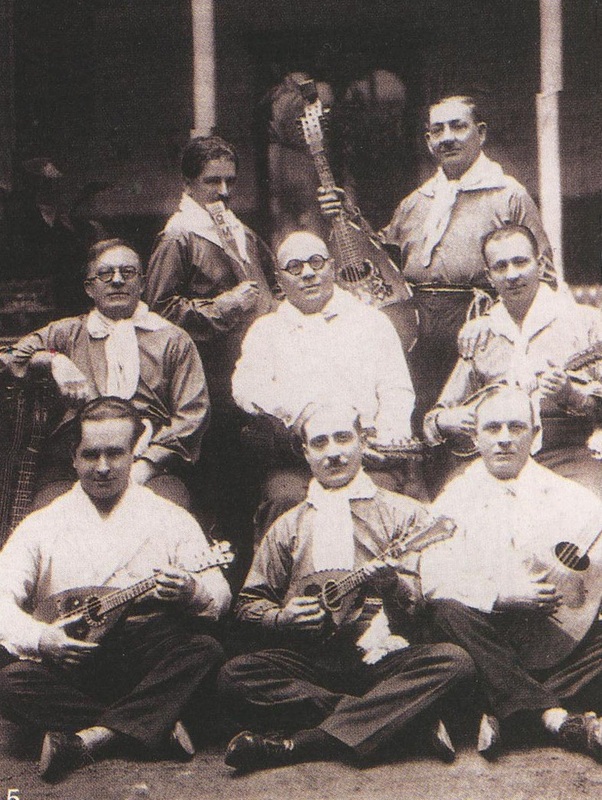 Their aim was various external features of the melody, primarily minor thirds or ‘bemolli’, according to the musicians’ popular parlance.” (Giorgos Papadakis, Folk Self-Taught Musicians). 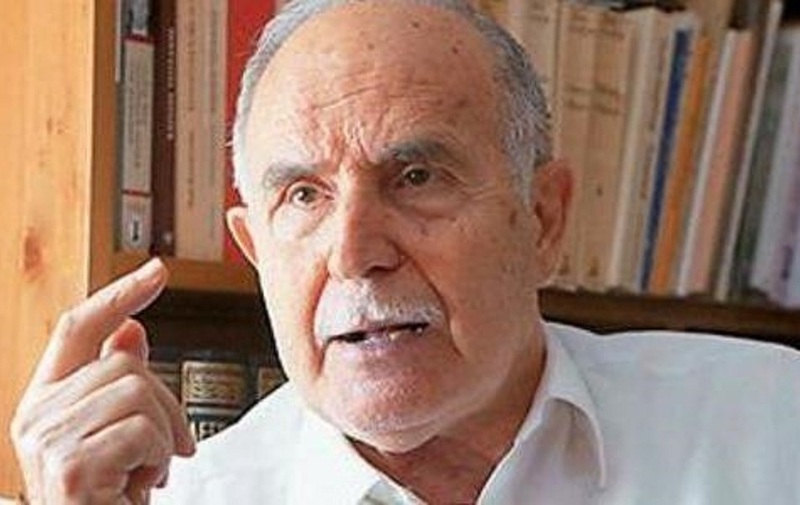 As Basiles Tsitsanes confessed in an interview with G. Papadakis: “With censorship at that time… we took away the bemolli. Bambakares for instance wrote: ‘Every evening I bwill wait bfor you, girl…’ We would change that mark and turn it without bemol so as not to sound oriental… We wrote beautiful serenades at that time…”(!). “How comes that no one informed Metaxas on this issue?”, – some naïve person may wonder. Well, even if someone did, he would have… disappeared later imprisoned or exiled for “anti-state activities”! Under these abnormal conditions rebetiko turned professional. Persecution affected everyone – both the Anatolians and the locals – for their music styles were first-degree relatives. Due to its tolerant police authority, Thessalonica was then turned into an oasis where many persecuted found refuge. 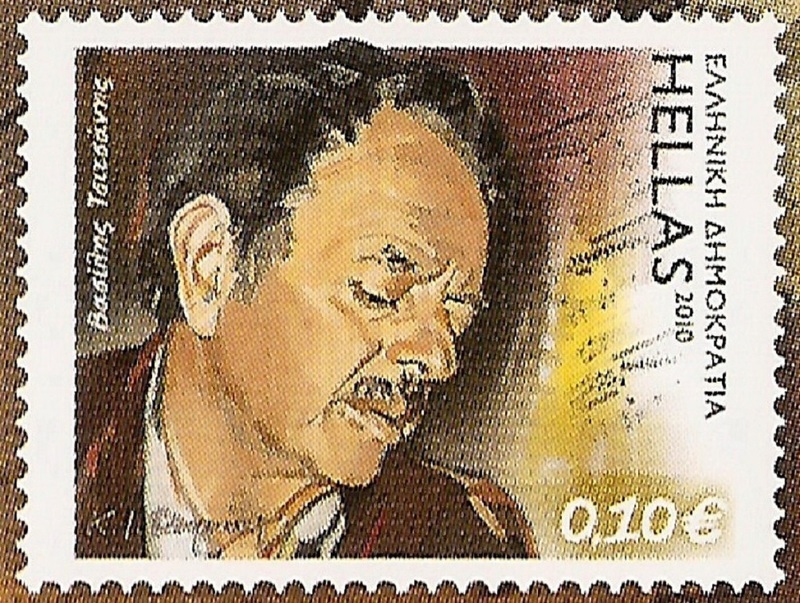 Thus, during its early years, rebetiko influenced the city and was influenced by it. Anyway, the painful shrinkage of Hellenism had also its positive effects, concentrating and condensing in modern Greece sounds born in three peninsulas: the Balkans, Asia Minor, and Italy. No country in the region enjoys such a privilege: its geography determines the sound of its music. This little miracle, however, with Hellenism’s three-dimensional face, collides with the mantra “We belong to the West” and is anything but welcome to the rulers who would do everything for the people to lose orientation – and if possible, they would have imposed… “occidentation” with a presidential decree! in three peninsulas: the Balkans, Asia Minor, and Italy. 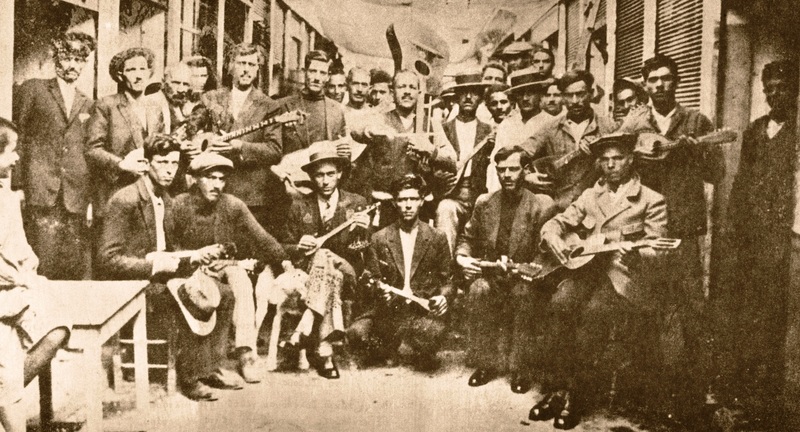 Rebetiko’s foes covered the entire political spectrum from Right to Left. 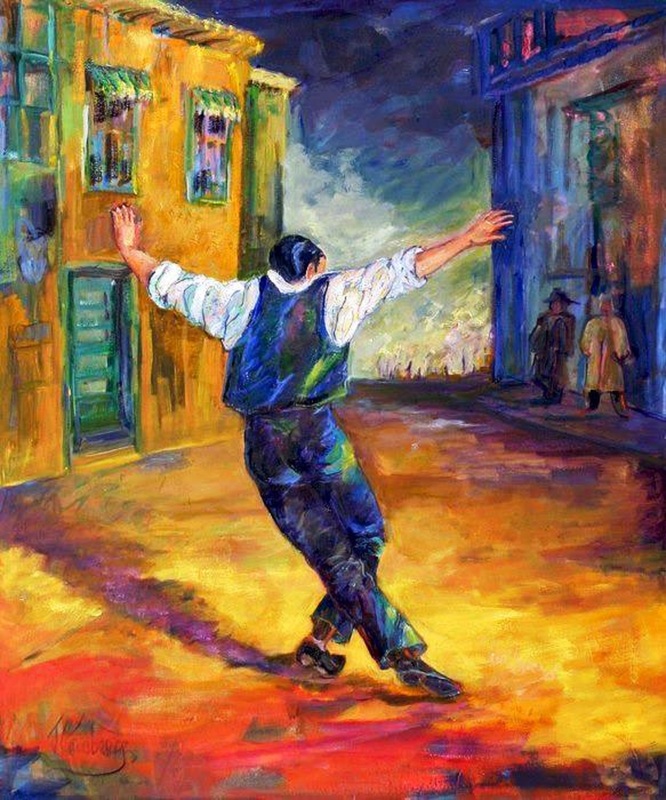 “Anathemas ‘in the name’ of morality at risk, or an offhand evaluation of popular rebetiko song as it is presented – mind you – in the cosmopolitan tavern, prevented a critical assessment of rebetiko creating fuss and confusion. “The criteria of our Western music education are certainly not enough to approach and study rebetiko, especially when they are accompanied by the ‘current’ perception of morality. Many aspects of this song naturally surprise us. We have strayed away so far from its sources following our own paths that sometimes we can find ourselves with difficulty. 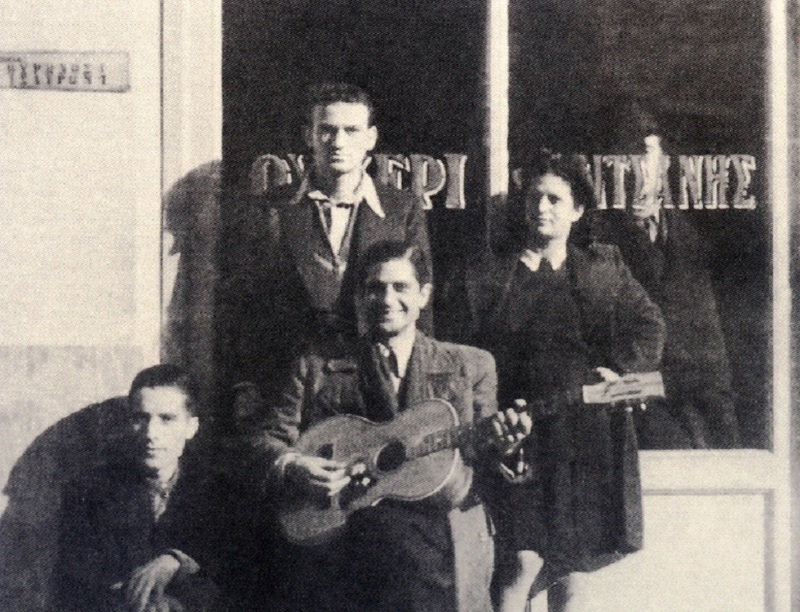 Giorgos Bates (centre) with a guitar. 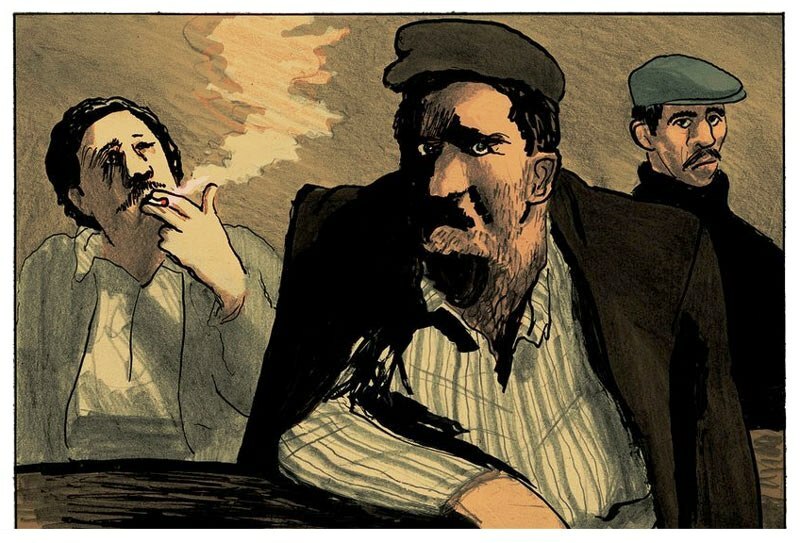 “Rebetiko,” he wrote, “is one of the inherent contradictions of the bourgeoisie in decline. It appears in an embryonic form before the wars. It takes shape from melodic remnants of the Turkish conquerors and those melodies brought here by ship crews coming from Turkish ports. It is performed by the most lumpen strata created by the pauperizing economic tactics of capitalism. 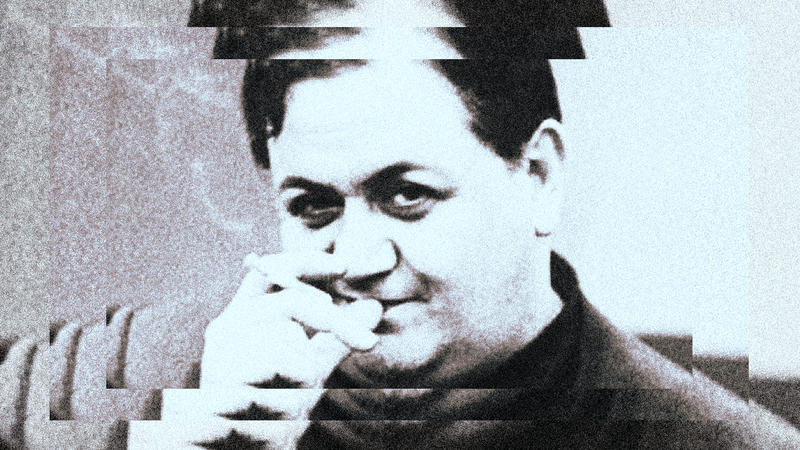 (k) It carries the most reactionary traditions, in the degradation of a segment of the bourgeoisie. (k) Lumpen (rags in German): a ragamuffin and, by extension, every impoverished element. In Marxist theory it is combined with the word proletariat to signify the most impoverished segments of the working class having no class consciousness. Proletarius in ancient Rome was someone totally destitute who could not give the state anything but his children (proles = child). Under capitalism it is the one who cannot give the capitalist anything but his labour power. 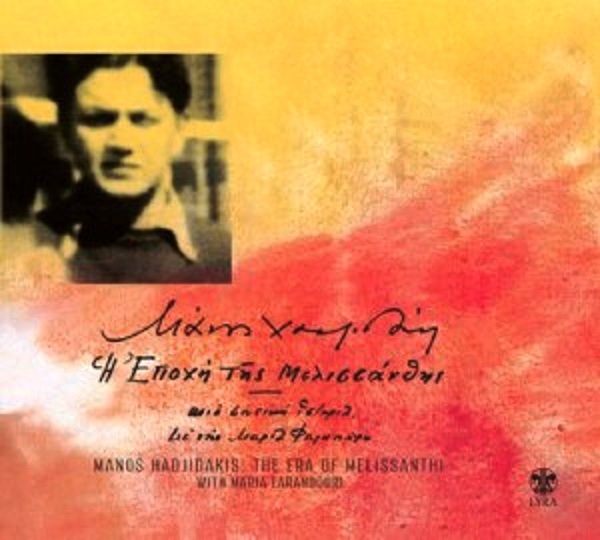 “I cannot believe that A. Xenos accepts there is popular tradition and style in the music of the songs of Resistance since we know both their composers – he is one of them –(l) and the clearly Western measures in the structures of their compositions. In addition, we know that during such a short time, individual creation can far easier give its fruits. “Our times are hard and our popular song, which is not made by people of the fugue and counterpoint who care for sanitation and make-do health make-up, sings the truth and nothing but the truth. “Our era is neither heroic nor epic and the end of the 2nd World War left almost all the problems unresolved and up in the air. “Furthermore, our country follows through with a war, almost uninterruptedly, with perseverance and faith in the final victory, but always – especially today – arduously and painfully. Consider now under these relentless conditions the virginal idiosyncrasy of our people. Virginal because just one hundred years of free life were not able neither to make it mature nor to leave room for the latest European trends to take root. Imagine all this piled vitality and beauty at the same time of a people like ours asking for an outlet, expression, contact with the outside world and facing everything mentioned above as main features of the era. Moreover, think of the extremely harsh conditions in our country. Vitality is burned, idiosyncrasy falls sick, beauty remains. This is rebetiko. And hence its thematology arises. The Era of Mélisande takes us to this period that “is neither heroic nor epic”. “Rebetiko manages to combine speech, music and movement in an admirable unity. 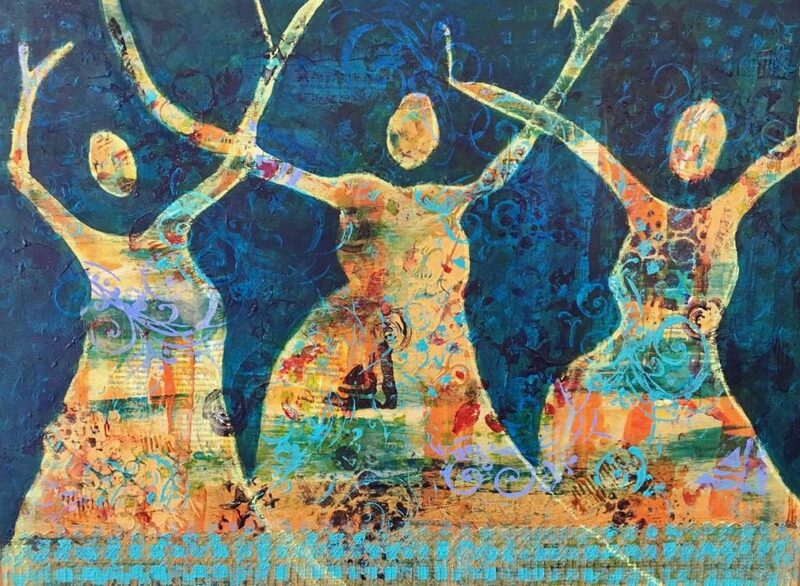 From composition to interpretation, the conditions are instinctively created for this triple expressive coexistence that sometimes, when it reaches the limits of perfection, is morphologically reminiscent of ancient tragedy. 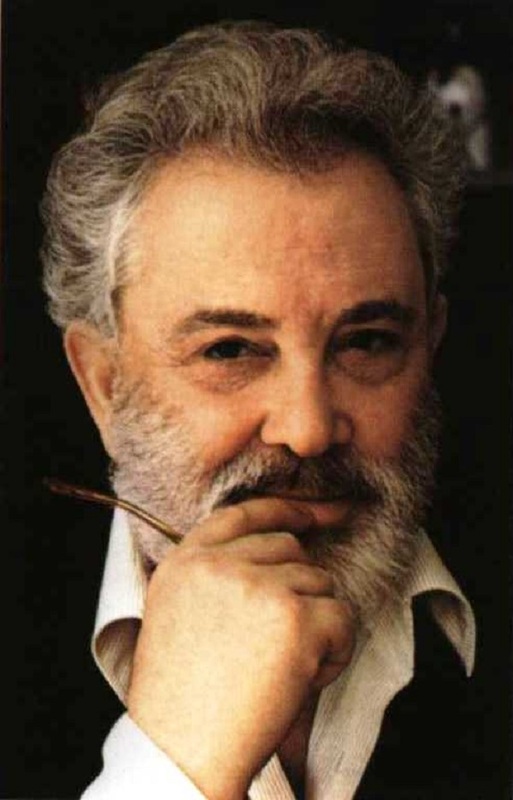 “Zeibekiko is the purest modern Greek rhythm; while hasapiko has assimilated a pure Hellenic peculiarity. Rebetiko is built on these rhythms; observing the melodic line of the song we can clearly discern the influence or, better, the extension of Byzantine chant. Not just examining the scales that out of folk musicians’ instinct are kept intact, but also observing the cadences, intervals and mode of execution. Everything reveals the source, which is none other than the strict and austere ecclesiastic hymn. (m) Unlike “Graeco-Roman world” or “Graeco-Roman culture”, the term “Graeco-Christian culture” or, even worse, “Graeco-Christian civilization” is a… Hellenic exclusiveness! “The bourgeois resisted; but they soon realized the futility of the effort. Thus, using the well-known method of rationalization or the equally well-known tactics of neutralization through containment, they embraced, adopted [the zeybekiko songs]. It’s always the best way to castrate a ‘revolution’ – cheap, safe, and bloodless. They started going on nightly treks to various taverns with bouzouki bands, the menu prices went up, the bouzouki players showed off, were flattered, saw that they had discovered a goldmine, buttoned up, even wore tuxedos, started varying their repertoire ever more with the softer, empty of any message or thought, but more tantalizing, tsifteteli, the prices went up again, the simple people got scared, withdrew to unknown taverns with still unknown bands, the eccentrics and the bourgeois discovered them, they occupied the tables there, as well, until the people, finding no place to sit, were compelled to gather outside, staring at the bands, the Americans and the bourgeois, in order to listen to the songs that were born out of them, but were far too expensive for their pockets. Thus a paranoid situation prevailed with the tourists and the bourgeois who went to see the people, and the people who went to see the tourists. Admiring products of economic misery that they were not willing to share except only aesthetically and from afar, the tourists flattered the people, for whom they became both a spectacle and objects of wonder. “Well: with the collaboration of some well-meaning, and many dishonest or foolish people, an amazing robbery has taken place before our eyes: the people’s right to lament, at least, their fate. The zeybekiko songs have become the status quo, established themselves, lost their edge, their meaning, and have become, in turn, the Occupation tangos of our time. More Greek, of course, than the tangos but, mind you, they speak no more of social injustice, nor about the bitterness in life, they don’t protest, they consent. They speak about bourgeois pseudo-pleasures and pseudo-worries, and now and then about the bitterness of migration, which is absolutely crucial, since migration means not to face reality, but to flee from it – the only kind of flight that is still allowed, when it’s not imposed. “Let me conclude: Those songs that managed for a while to become the means of expression of a people’s protest against their exploiters of all kinds, are now composed according to ‘plutocratic’ methods of mass production by the exploiters themselves, or they are just financed by them, for consumption by the people, and the people, who do not understand, or pretend not to understand, who have had some food to eat after the war, and, because of this little food, imagined they’ve become rich – sing them! Here’s, then, where we have ended up: with musicians playing every night, all the time, the same repertoire with no substantial changes, bored as hell, just like their customers. When the musicians do not enjoy their art, when pathos or joys of life have been replaced by bathos or superficial revels, then merriment and “happiness” come by artificial means – drinking at best. When the musicians fail to engage creatively and freely in improvisations, having in mind just an outline, a sketch of the repertoire, leaving everything else on the spur of the moment, when they avoid or are afraid to be carried away by their imagination, and prefer to be on sure ground, then at best they may provide entertainment – for the people to forget their troubles, to be fooled away – though they should provide (at least sometimes) edutainment, “soul therapy”. 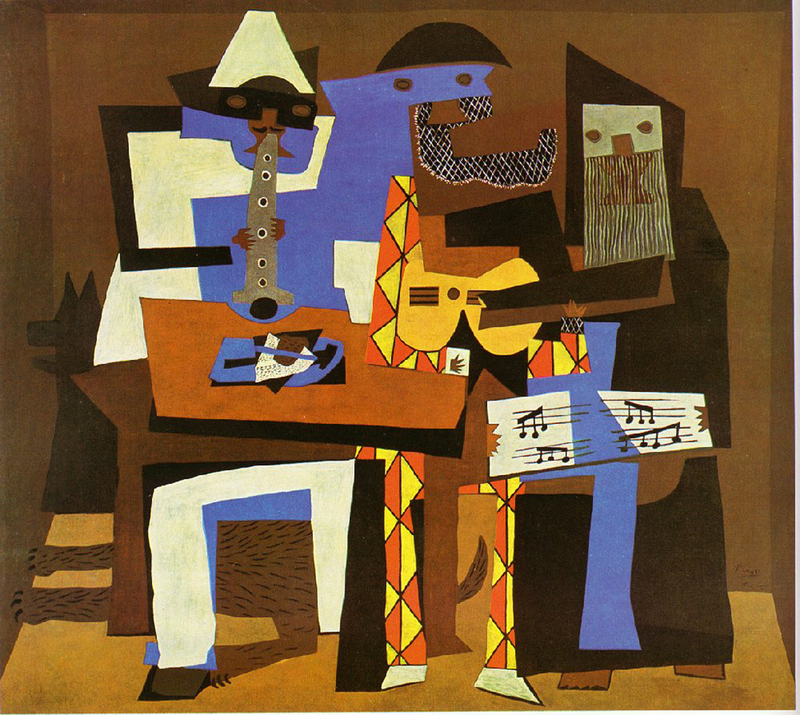 (n) When the musicians act dictatorially, playing at full volume, forgetting that music has pianissimo and fortissimo, as well as a plethora of modes and rhythms, then people go out to blow off some steam, get drunk and break loose, making more noise than the amplifiers and behaving like a horde of barbarians. Then – let me say it again – the musicians have lost their best allies: the music aficionados. But – you’re bound to ask – aren’t professionals like that? Why should I support them? Well, these are the bad professionals, I would say – regardless if they make up the majority now. Willy-nilly, they’ve fallen into the trap where other professionals, such as journalists, have also been caught, with the idea that they are… coffee men and, therefore, they make coffee according to the customers’ preferences! (o) They do not seem to bother that the order for… “light-sweet” music or news is not given by some “clients” but by their bosses. On the other hand, let’s not forget that if there was no public well-disposed to junk “music” or “news”, the bosses would necessarily have second thoughts. So, when we… shoot the piano player without looking in the mirror, chances are we’ll be finally left without a piano player! chances are we’ll be finally left without a piano player! Music is no joking matter. It’s an art requiring years of study, either with sheet music and books or next to another musician – but always on the instrument. 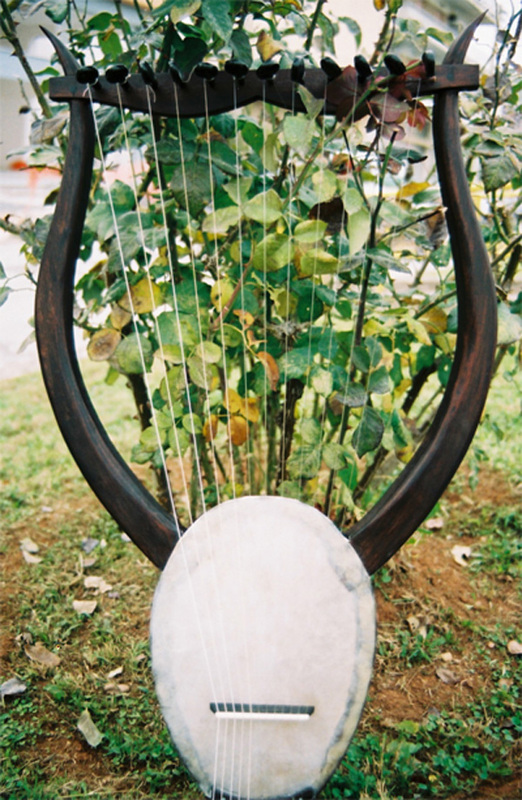 It takes persistent and consistent effort and study to master the technique of a single instrument and, moreover, to decipher the secrets of a single musical language. The same applies to a singer: not everything depends on a “celestial charisma”. How then is it possible to consider this verbiage of “cold” professionals and “sensitive” amateurs as well-grounded? How can a lyricist e.g. pose as a composer when he is musically “illiterate”? What would this rhymer say, indeed, if someone who had never sat down to work on language and metre declared to be a “poet”? You’ll tell me I’ve forgotten a very important parameter: in Hellas you are whatever you declare! Popular songs – they say – are simple. Yes, but they are not simplistic! The great difficulty in their composition lies in this very simplicity. Especially when you have studied theory of music, it is rather easy to create complicated compositions. If you attempt to simplify them, if you leave just the basic melodic line, then the substance, the quality of your inspiration, reveals itself. Popular songs – they say – are simple. Yes, but they are not simplistic! Let us assume that divine inspiration strikes a musically “illiterate”: he will not be able to elaborate on that because he lacks proper knowledge. And if this elaboration is taken over by someone else, the end result will be different from what he had in mind. Even if he “hits it big” and becomes a “star”, he will have capitalized on the erudition of third persons who will unfortunately, in most cases, remain unknown. Additionally, if he wishes to sing his creation, as it has become fashionable lately, he will fail, as well, because, even if he doesn’t sing out of tune (if…), he has not worked his vocal chords, ignores completely the vocal techniques, he doesn’t know the secrets of breathing, articulating and singing, and much more. One may refer as an example to the Beatles who composed brilliant music being musically “illiterate”. 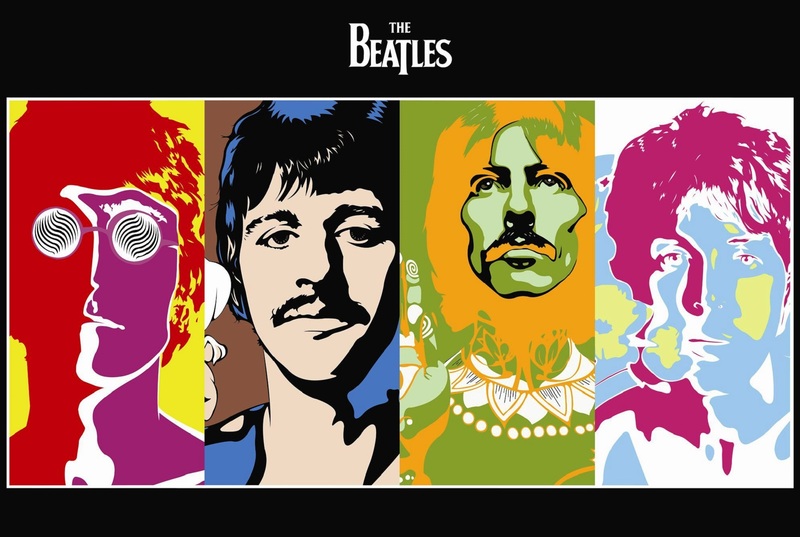 Apart from the fact that they too capitalized on George Martin’s erudition, I have to stress I don’t mean by any means those musicians who are theoretically “illiterate”: the Beatles were professional musicians since the time they played – completely unknown – in Hamburg. One more thing: the term “art music”, prevailing in the 60s when Anogianakis’ text was written, is of course completely inappropriate, since it implies that a popular composer is probably… “artless”! 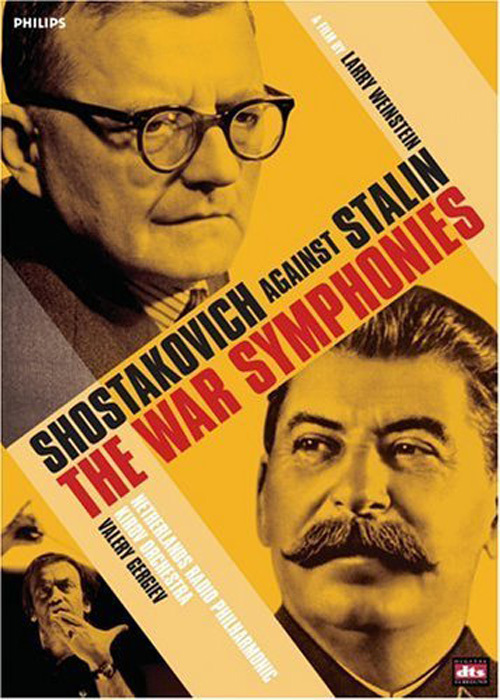 Clearly annoyed and in a sarcastic mood, Tsitsanes once commented that the difference between popular and “art” composers is that between eyewitnesses to a crime and some others who… just heard about it! And what about the… “illiterate”? Where can we group all those who surely have nothing in common with either Tsitsanes or the Beatles? No need to ask: they are the… perpetrators of the crime!